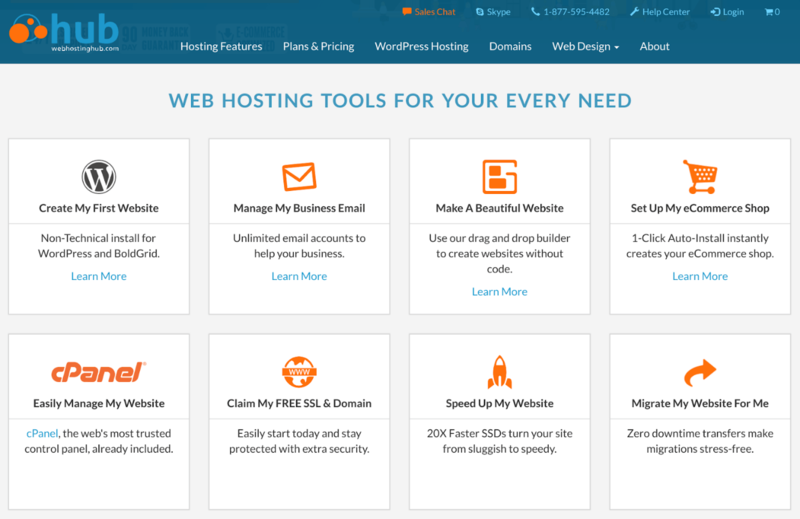 WebHostingHub Review 2019: Is WebHostingHub a Good Hosting? WebHostingHub, an American company, offers unlimited features at a price many will find hard to believe. They are not only cheap but also offer high-quality packages. Founded in 2010, Web Hosting Hub is a web hosting provider based in Virginia Beach, VA, U.S.A. Two U.S. data centers provide the backbone to this company’s WordPress and shared hosting solutions. Today, they have more than 40,000 customers in many countries around the world including the United States, Canada, the United Kingdom, India, and Germany. Their website is in English. Web Hosting Hub’s data centers house modern enterprise-level Dell servers for optimal speed. Since 2015, this company has been replacing its end-of-life servers with SSD servers, and will continue to do so until all old drives have been replaced. If you can’t wait for that multi-year replacement project to complete, you can subscribe to one of their SSD plans now. All hosting plans include features that are beginner-friendly but scalable for businesses. The easy-to-use cPanel control panel comes with access to more than 400 free applications, scripts, tools, and website builders such as the free premium BoldGrid website builder that they encourage you to use to create your first website. Backups are not automatically run on this company’s servers, and are only run if you purchase the Automated Backups service on your account. And if your total data is less than 10 GB. Since these incremental backups are really only intended for disaster recovery purposes, you are also encouraged to backup your own data for rollback reasons. Web Hosting Hub has three reasonably price plans: Spark, Nitro, and Dynamo. The shortest time you can sign up for is one year, but the first year will typically attract big discounts or introductory offers. And their amazing 90-day “no questions asked” money-back guarantee should make it easier for you to make a commitment. Although the company also provides a 99.9% uptime guarantee, they shy away from backing it up with a concrete compensation plan. Web Hosting Hub’s 24/7 support team comprises more than 200 staff. You talk to the team via telephone, email, live chat, Skype, or by opening a ticket. They come across as knowledgeable and have a notably short response time. This one-to-one support is complemented by a knowledge base packed with lots of articles, blogs and tutorials. Web Hosting Hub’s shared and WordPress hosting solutions are best suited to blogs and small websites. This vendor does not offer advanced hosting solutions such a VPS hosting and dedicated servers, so it might be unsuitable for fast-growing enterprises or big businesses that need to scale over time. Check out WebHostingHub’s web hosting options today! Wondering how WebHostingHub stacks up against other Web Hosting companies? Enter any other Web Hosting company and we will give you a side-by-side comparison.